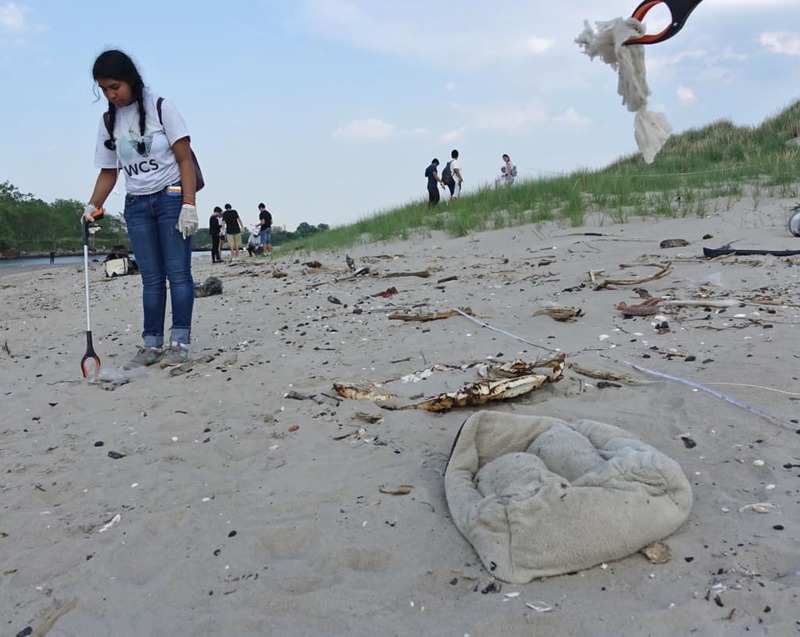 This short film was produced as the result of a series of workshops with a group of teenagers from the New York Aquarium’s Wildlife Conservation Corps, which focuses on public-facing science and ocean advocacy projects. Led by the Aquarium’s artist in residence Christy Gast, they began by employing the Plastic Census Protocol developed during Gast’s Ensayo #4 residency at Bahía Jackson in Tierra del Fuego. Over the following weeks, they teased a narrative out of the objects they collected, asking where they came from, how they got there, and how they could advocate for change. They worked with playwright Cory Tamler to develop a script, composer Paul Hogan to record the soundtrack, and Christy Gast and George Ferrandi on the animation. 2 Lost Soles was created by an artist-led group of teens from The Wildlife Conservation Corps (WCC), a field based training program for students planning to pursue careers in natural resources fields. This short trailer combines still animation and real-time video to tell the love story of two lost “soles” as they leave the feet of unknown humans from the past. As they float through the ocean for a thousand years, they are subsumed by a lifeless galaxy of plastic trash produced by a past culture of consumption. In this cinematic version of the future, there is no life in the sea, only floating garbage. But if we think ahead and act now, we might be able to flip the script and protect the ocean for generations to come. Watch to the end to find out how you can help!